Bookinitat50: FRIDAY FICTION: "Pete the Cat, I Love My White Shoes"
FRIDAY FICTION: "Pete the Cat, I Love My White Shoes"
Are you rocking in your school shoes? Are you singing in your school shoes? Are you dancing in your school shoes? 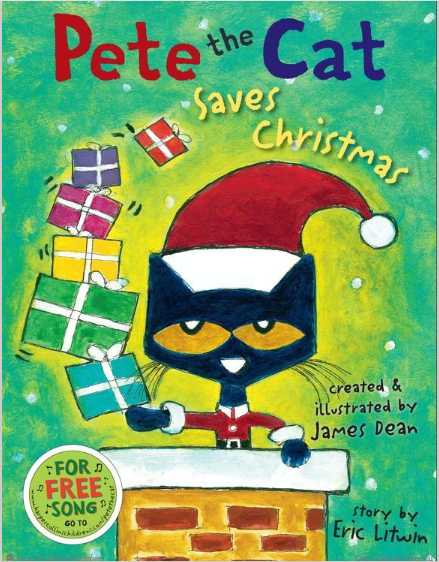 Well, Pete the Cat is and you can be too!! Eric Litwin is the author of the Pete the Cat books. He and artist James Dean have created Pete, a blue, happy, “you can’t get me down” cat. He knows how to learn! He knows how to have fun! And…he knows how to sing! We read about Pete the Cat and his colored shoes this week. 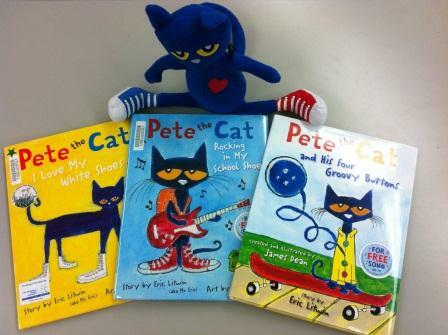 The kids LOVED him and you can watch a live reading of Pete the Cat and get your groove on! Watch and listened to Miss Shy do her re-telling of Pete in this fun video! Pete has a new book that just came out on September 25th! I can’t wait to read it! To learn more about Pete’s books visit his website.